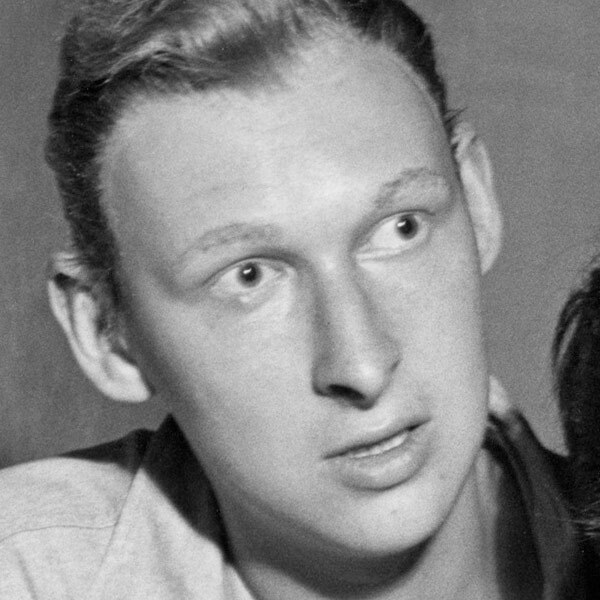 Mike Nichols was a film and theatre director, producer, actor, and comedian, consistently producing iconic work throughout every stage of his career. He began his career in the 1950s with the comedy improvisational troupe The Compass Players, predecessor of The Second City. He left The Compass Players to team up with his improv partner, Elaine May, forming the legendary comedy duo “Nichols and May.” Their live improv acts were a hit on Broadway, resulting in three albums, the first of which won them a Grammy. After Nichols and May disbanded their act in 1961, Nichols began directing plays. His debut Broadway production was Neil Simon’s Barefoot in the Park in 1963 with Robert Redford and Elizabeth Ashley. He next directed Luv with Alan Arkin in 1964, and in 1965, The Odd Couple, receiving Tony nominations for each. In 1966, Nichols was invited to make his feature film directing debut with Who’s Afraid of Virginia Woolf?, starring Elizabeth Taylor and Richard Burton. The groundbreaking and acclaimed work led critics to declare Nichols the “new Orson Welles.” The film garnered thirteen Academy Award nominations, won five, and was a box office hit, quickly becoming the number one film of 1966. Nichols’ next film was The Graduate, starring a then-unknown actor named Dustin Hoffman alongside Anne Bancroft and Katharine Ross. The film was another critical and financial success, becoming the highest-grossing film of 1967 and receiving seven Academy Award nominations. Nichols took home the Academy Award for Best Directing. Among the other films he directed were Catch-22, Carnal Knowledge, Silkwood, Working Girl, Wolf, The Birdcage, Closer, and Charlie Wilson’s War. He won his sixth Tony Award as best director with a revival of Death of a Salesman in 2012. During his career, he directed or produced over twenty-five Broadway plays. His other honors included the Lincoln Center Gala Tribute in 1999, the National Medal of Arts in 2001, the Kennedy Center Honors in 2003 and the AFI Life Achievement Award in 2010. His films garnered a total of forty-two Academy Award nominations and seven wins. Nichols, who was married in 1988 to broadcaster Diane Sawyer, passed away in 2014 In January 2016, PBS aired Mike Nichols: American Masters, an American Masters documentary about Nichols’ life. It was directed by Elaine May.